half-finished. I couldn’t find the final picture. If you’ve read some of my earliest posts on this blog, you may know that I used to play Heroclix avidly. Those were the good ol’ days, back in high school, when I thought I didn’t have much money but I didn’t have any expenses. So what I really had was lots of disposable income, and dispose of it I did. Right into boxes and boxes of Heroclix. I loved playing heroclix; I mean, whole teams of superheroes battling it out in various arenas, to the death? Awesome! I had some pretty great teams and figures. Batman, Black Adam, Kane, Doctor Fate, Invisible Woman. 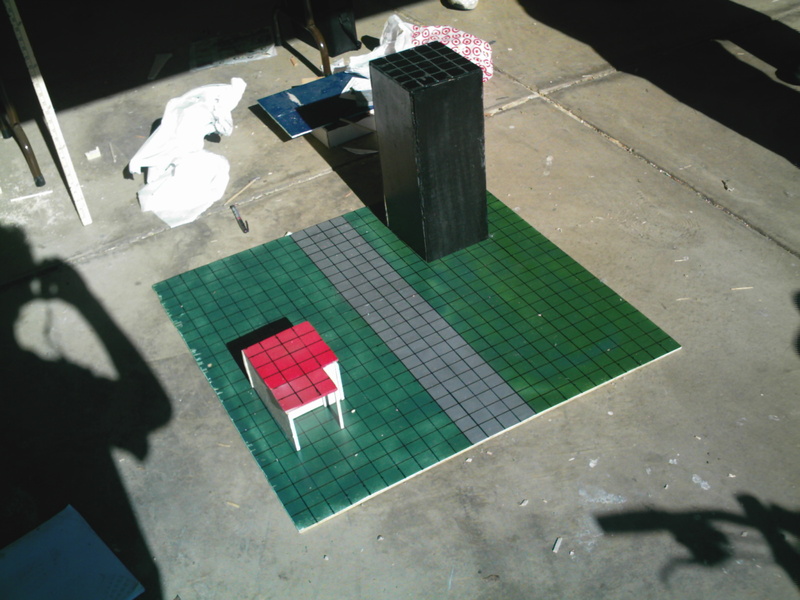 My friends and I even built our own 3D Heroclix game board. It was one of the few things we actually did in real life. Mostly we just played Halo, so it was great to actually feel like we accomplished something. Then, Heroclix defeated me. I realized, after a couple years in college, that I couldn’t keep up. The new sets were releasing too fast. It became overwhelming… and then our local gaming store went out of business, cutting off our main source of new figures. I stopped collecting and eventually we stopped playing. We just found easier things to play, more self contained games. All this to say… I’ve decided that it’s no longer worth it to keep my old collection on hand. I don’t see me playing anymore, and the boxes are just taking up space on the shelf. I’ve decided to try and pass them on to someone who would appreciate them more. I had built up quite the collection over the years, but i’m selling it on ebay split up into the various “collections.” There are some pretty useful figures, some decently valuable ones (Unique Batman! Deadpool!) and a few Uniques. Being that you’re most likely gamers, I figured I’d post here since you or someone you know might be interested. If you are or if you know someone who would be, I’d love it if you could pass this on in their direction.